One of Britain's most senior murder squad detectives has been called in to re-examine the bizarre death of a man crushed in a concrete-mixer lorry seven years ago, following claims that the original inquiry was flawed. Detective Chief Superintendent Dave Mirfield, head of the major crime unit at West Midlands police, is to examine the files on the death of Lee Balkwell after the Independent Police Complaints Commission (IPCC) expressed serious concerns over the handling of the inquiry by Essex police. Essex police concluded that Mr Balkwell had died in a tragic accident, but his father suspected foul play and believed there had been a cover-up. The appointment of Mirfield, who successfully led one of the most difficult murder inquiries in recent times – into the gunning down in 2003 of Letisha Shakespeare and Charlene Ellis in Birmingham – has been welcomed by sources within the IPCC, whose request for a full reinvestigation by an outside force was refused by Essex police. "From an early stage, we told Essex we had serious concerns," said the source. "If this review identifies things that weren't picked up, that would lead to the reinvestigation we wanted." The IPCC is also carrying out an independent inquiry into complaints by the family against 17 Essex officers, currently serving and retired, over allegations that the Balkwell inquiry was mishandled, evidence was contaminated and there was "a well-organised cover-up". The emergency crews called to the concrete firm on a farm in Essex in the early hours of a summer morning met a scene that has stayed with them to this day. Mangled between the drum and chassis of a concrete-mixer lorry was the torso of a man, his legs twisted and resting on a pile of dried cement. One paramedic wrote "?foul play" in his pocketbook. Another said she thought she was looking at a suspicious death, and a third said he was reluctant to touch the body in case he damaged evidence. One of the early contradictions of the inquiry was when detectives said they had treated the death of Mr Balkwell as suspicious for 35 days. Yet the day after he was found, his clothing was destroyed, without being examined by a forensic scientist, on the orders of a senior officer, and within 48 hours of the death, the police had told the family of the 33-year-old haulage driver that he had been killed in a freak accident while cleaning the drum of the lorry at 1am. Since Mr Balkwell was killed – leaving a newborn son, Henry, who is now at primary school – Essex police have not changed their view. But the suspicions raised by paramedics on seeing the body have not disappeared. Mr Balkwell's father, Les, a retired engineer, has commissioned expert evidence that raises doubts about the police case, uncovered photographs that apparently show cigarette burns on the body and been introduced to a world of organised crime. "Over seven years, I have met so many people that you think you can trust and then they let you down, so I am a bit cynical and I am left feeling, who can you believe?" Les Balkwell said. "But I will wait and see what this brings." Lee was his eldest son, born in May 1969 into a tight-knit family. After running a market stall, he formed his own haulage company, but by early 2002, with a baby on the way and a new mortgage, his firm shut down and he was hired by the Bromley family to work at their firm, Upminster Concrete. The Bromleys were known to police. Four years after Mr Balkwell's death, Simon Bromley was sentenced to eight years in prison for what a judge described as operating a cocaine business "in a large way" and for a firearms offence; he had attempted to sell undercover officers a rifle with titanium-coated bullets, which he said would "destroy all the main organs"
His father, David Bromley, a self-confessed cocaine addict, was convicted of conspiracy to supply the drug and given a three-year jail term. Earlier this year Simon Bromley was ordered by a court to pay a confiscation order of £210,158 or face a further three years in prison. 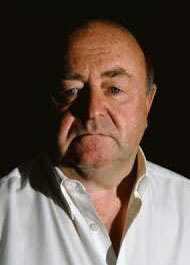 Basildon crown court heard that he had benefited by £606,178 from the proceeds of crime over the years. According to an account given at the Balkwell inquest, Simon Bromley said he was working with Mr Balkwell on the night of 17 July 2002, helping him to drill out dried concrete from the drum of one of the firm's mixer lorries. He told the hearing that Lee was climbing out of a 35cm (14in) open hatch on the drum when Bromley switched on the engine and the drum suddenly began revolving, trapping Lee against the chassis and killing him instantly. David Bromley made the 999 call to the ambulance service at 1.03am. The inquest recorded a verdict of unlawful killing as a result of gross negligence. During Les Balkwell's pursuit of the case, he has received threats and been given police protection. He believes his son had become involved in something that was distressing him shortly before he was killed. He said Lee had told him he needed £23,000 in cash to pay a debt, but when pressed would not reveal what the money had been used for. Over the past seven years, the Balkwell case has begun to unravel. Dr Michael Heath, the pathologist who carried out the postmortem, was discredited and disciplined for bungling postmortem examinations on two women that led to their partners being wrongly tried for murder. A second pathologist who, like Heath, originally said there had been no signs of assault, grip marks or restraint on the body, has expanded his opinion. In a 2007 report, Dr David Rouse said it was not possible to exclude the idea of the victim suffering an assault and being dragged across the yard. John Bond, a safety and engineering consultant who has provided an expert witness statement for the Balkwells, has concluded it would not have been physically possible for Mr Balkwell to have tried to leave the drum from the hatch and get halfway out so that he was trapped, in the way that has been suggested. 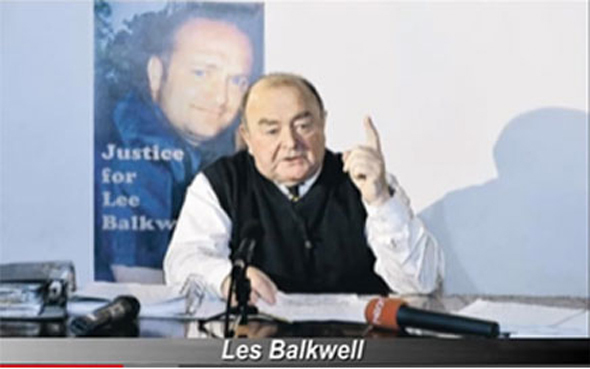 Les Balkwell's lawyer has written to the new chief constable of Essex, Jim Barker-McCardle, calling on him to examine the family's allegations that the death involves a "well-organised cover-up". He wants to present what he says is new evidence: photographs apparently showing cigarette and scorch marks on the body. Essex police said that new evidence would be considered if it emerged.